Almost every culture has a tradition to keep the rain away on your wedding day (in accordance to Alanis Morissette’s wishes). Catholics put a pendant or statue of Mother Mary on the window sill. 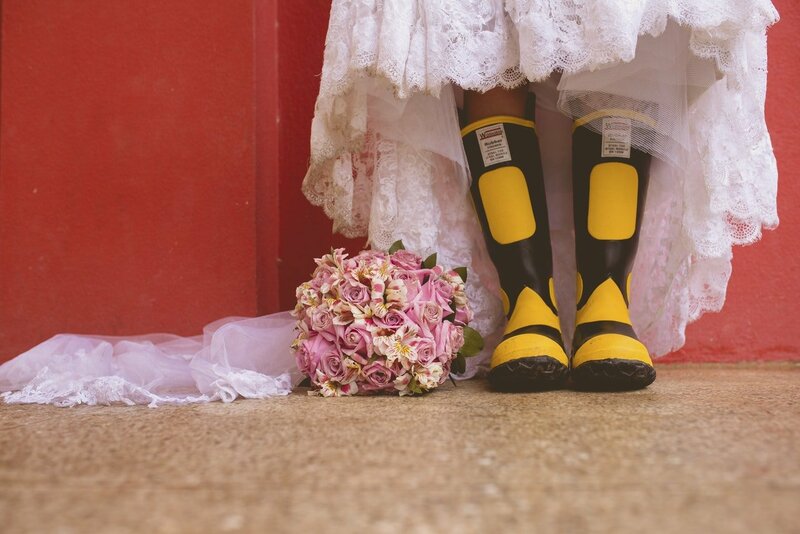 In Irish and Indian cultures, rain on your wedding day means good luck and fertility– even if it brings soggy hair and squishy shoes. One company in the US will even cloudseed for $100,000 to ensure that no drops of water soil your white gown or screw up your updo. That seems a little extreme– and expensive. But with the humid springs and summers that the American South cooks up often comes rain– and lots of it. It’s not uncommon to have monsoon-like rain appear suddenly on the horizon, flooding and destroying everything in its path, then leaving nothing but mud and ruined decor behind. Even if it doesn’t rain, a grey and brooding sky is nowhere near ideal for pictures. That’s why all true born-and-bred Southerners know the tradition of the Burying of the Bourbon. You take a bottle of bourbon, and bury it at your venue a month before your wedding. Then, on the day of your nuptiuals, you and your new partner dig up the bottle together as a part of the ceremony. The luck-imbued freshly dug-up bourbon is then incorporated into your ceremony, either as a toast, or a sumptuous ritual where you take your first sips together, or as a symbolic blending ceremony. And it’s not just for fun. According to John of the wedding venue website Black Mountain Sanctuary, it a completely legitimate way to keep your wedding rain-free. After he saw one couple achieve a rainless wedding day by burying the bourbon, he recommends it to other couples and has yet to see any of them suffer a soggy wedding day. Whether or not that’s true, we’ll leave it up to the weathermen. What we do know is that this tradition and ceremony lends an air of powerful sentimentality to any wedding. 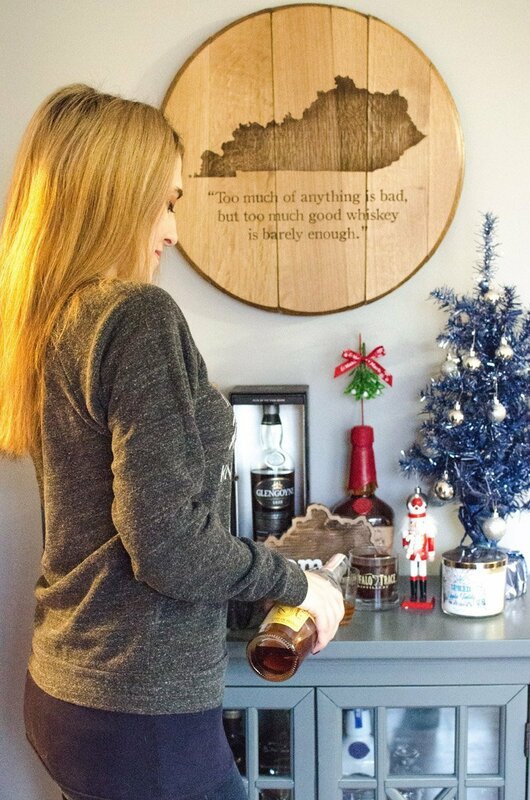 Bourbon is as southern as big hats, gospel music, and rocking chairs on the front porch. Southern weddings are really the cream of the crop. There’s something about the elaborate styles, the soul food, the exquisite cocktails, and the heat of a sticky Southern summer that’s just so charming. By American law, bourbon has to come from America, with southern states Kentucky, Tennessee, and Louisiana leading the way in production. Yes, that is an actual law. Why? Because no one can make bourbon like the American south. It’s simply impossible. And your wedding doesn’t have to be in the south or even have an American South theme for the Burying of the Bourbon to work. It doesn’t even need to be in the United States, so long as it’s bourbon from the US. “But why waste good bourbon”, you ask? You aren’t wasting it: you’re giving it somewhere nice and cool to sit and age for a month while you finish your last-minute preparations. First, check with your venue to make sure it’s alright that your bury the bourbon. While venue shopping recently for my own wedding, I made sure to ask each place we went to if that would be alright. While I am in the South, nearly every venue had heard of this tradition– and one botanical garden even had a bride and groom coming THAT DAY to bury their own bourbon. The tradition is as prevalent here as sweet tea. Once you’ve gotten clearance, make sure to plan when you’re going to do it. Double-check with the venue so they know and you aren’t crashing someone elses’ wedding– that would be very bad luck indeed. Once ready, there are more rules to follow to ensure we get the intended result, so make sure you follow this checklist to a “T”. The bottle needs to be completely full. It needs to be real Bourbon (your call on what brand). You and your partner need to bury it together. It needs to be buried upside down. It has to be buried exactly one month before the wedding– and preferably on a day of good weather. Make sure to mark the spot where you bury it, too. There’s no word on what’s to be done if you can’t unbury the bourbon, but we can’t imagine it’s good. When it’s buried, you don’t have to worry about it. 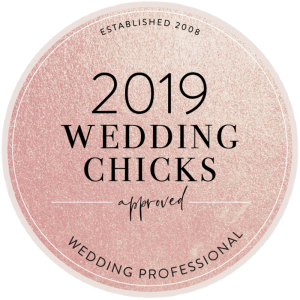 Believe us, there’s plenty more to worry about in the final weeks leading up to your wedding! Stay on top of your RSVPs, put the finishing touches on those centerpieces, and make sure the hotel block is booked and ready as friends and family from all over come to join you and your partner on your special day. And rest assured that the time-honored bourbon is doing its work, deep in the soil. This is the most important part: the ceremony. During your ceremony, you must include the unburying of the bourbon in some fashion. 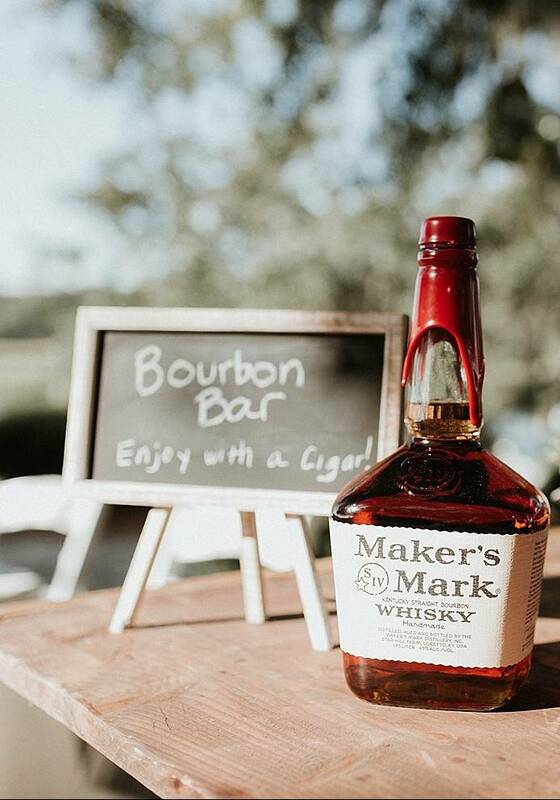 If you can’t bury the bourbon at the exact location at the venue where you’ll be married, then dig it up as close to the ceremony’s time as possible and bring it to the ceremony. You’ll need to make sure you have glasses on hand to dole out the bourbon to its intended recipients, too. Don’t worry, we have that covered. A small table next to the officiant will work nicely. Make sure to clue your officiant in ahead of time about how you’d like your whiskey ceremony to go down so they can include it when they write the ceremony. And you’ll also want to include it in your rehearsal so nothing goes amiss. 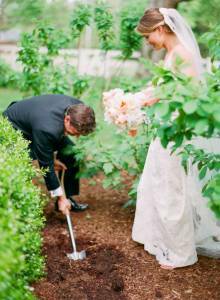 Using a shovel together, you and your partner will pull the bourbon from the ground (if it isn’t already unburied). Then, hand it to the officiant who should open it and pour you both a measure while saying some words about the tradition and the importance not just of keeping the rain away on such an auspicious day, but the blending of two souls in marriage. Then, both you and your partner may drink from your whiskey as the officiant announces you as forever bonded in matrimony. What do we do with the bourbon after? Drink it, obviously! What else is bourbon for? 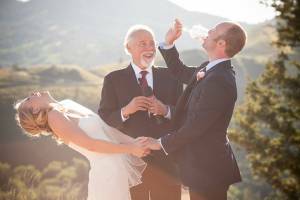 Some couples split their bourbon with their wedding party and important family members at the reception. Some couples wait and sip it only on their future anniversaries together, or at other big celebrations (the birth of a baby, work promotions, etc.) This part is up to you; the bourbon has already done its job. Now it’s time to make it your own in whatever way suits you and your partner the best.